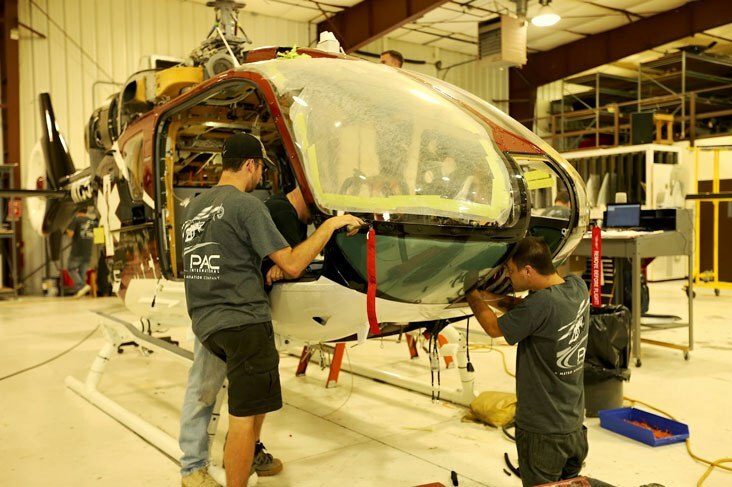 PAC International, a Metro Aviation company, is committed to continuing education and developing a quality workforce. Annual training is encouraged for PAC employees, as well as working toward industry licenses and certifications. PAC rotates employees through Bell and Airbus certification training, including field maintenance, electrical and overhaul. In addition, PAC employees added some extra credentials in 2015. Mike Felker and Jason Wagner earned their A&P license. In addition, PAC now has two additional mechanics with an Inspection Authorization (IA). Greg Falat and TJ Logan earned their IA designation upon passing the FAA’s exam. PAC has performed thousands of aircraft completions and refurbishments. The company is dedicated to ensuring employees are equipped with the most technologically advanced skills for high quality completions and repairs.